They say that you only look as old as you feel. The world would be a much better place if our skin and our hair could hear that thought. Modern day lifestyles make things worse because most people start suffering from the signs of aging from their thirties itself. However, all is not lost. The advent of technology might have had a negative impact on our physical health, but it also brings us all sorts of solutions to ensure that we can prevent the signs of aging from appearing earlier than their due date. Things like sunscreens and cleansing can definitely work wonders in making the skin look younger, but there are a few other things that can also help you transform the way you look. OROGOLD brings you a few tips to look younger, NOW. Cleansing might be important, but washing your face can also lead to a loss of essential oils from your skin, particularly the ones that make your skin look soft. One of the best ways to counteract this effect is to use facial oils after cleansing so as to ensure that your skin looks soft and supple for a longer period of time. It really doesn’t make sense to try and identify with the hottest teenage pop star if you’re nearing your forties. The hype created by glamor and fashion magazines don’t help either. OROGOLD suggests that you use celebrities who are closer to your age as inspiration for your style. The internet can offer you all sorts of information with regards to their makeup routines, hairstyles, hair colors and fashion styles. Don’t you think that you would feel much better trying to accomplish something that is difficult and not running after something that’s impossible? You can make use of all sorts of makeup techniques to make your face look younger and more beautiful. One of the best ways to do this is contouring. Contouring refers to applying highlight and shadow tones with your makeup application that can help you define your face. The key to contouring is to find the perfect shade and blending. Once you find the perfect foundation shade, choose a shade that is one or two shades darker and also get a highlighter color than matches your skin tone. Remember, contouring is all about accentuating your features and diminishing your flaws. 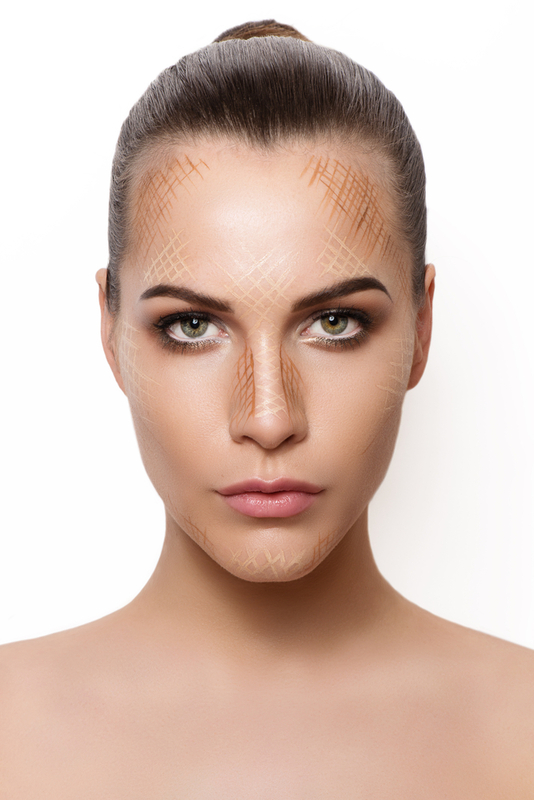 Contouring can act as the perfect weapon to glamorize your cheekbones and make you look younger instantly. Use a highlighter pencil to create a fake brow-lift under the arch of your brows. This should give your eyes an instant lifting effect. All you need to do is draw a line, following the natural arches of your brow and blend it with a brush or your fingers. If you’re not hooked on serums already, OROGOLD suggests that you start off with it as soon as possible. Not using an anti-aging serum means that you’re not making the best possible use of your skin care routine. There are all sorts of serums that can give your skin a firmer and plumper look and help you boost your your skin health. Avoid sporting a super-polished finish on your hair. 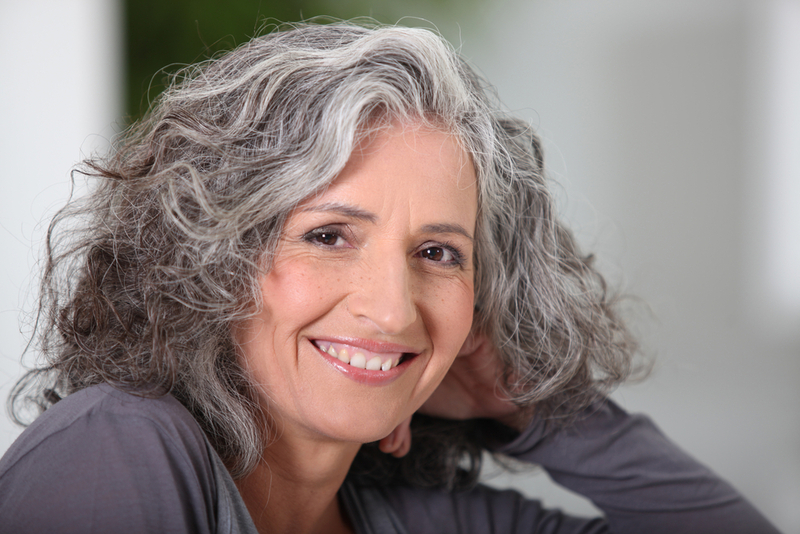 Super pin straight styles can add years to your look, even if you’re still in your twenties. The best solution for your hair is to choose a texture that looks slightly undone like soft waves (think Victoria’s Secret catalog). You can use hair tools to achieve this look or for something easier try a texturizing spray. Lightening the hair color can help you to create an illusion of brighter skin. A dark-brown hue might make your strands look rich, but lightening your locks can also give your skin a glow because the lighter colors pick up the brighter pigments from your skin tone. Don’t go too drastic, just choose a color a couple tones lighter than your natural color. Follow these simple, yet effective anti-aging tips and you should easily be able to look younger instantly! High fashion isn’t typically something we think about when thinking about Ancient Egyptian culture and times. During that time period, however, there were various people in the wealthy and royal culture that shaped the fashion of the future. OROGOLD examines the high fashion of ancient Egyptian times, read on to learn more. When we think high fashion, we tend to think of New York fashion week, old Hollywood style, chic Paris, preppy London, and luxurious Milan. What most of us overlook is the fact that there was a time long ago in Ancient Egypt where women such as Cleopatra, Nefertiti, and Isis ruled the country and the fashion world while adorned in gorgeous dresses, jewels, and gold. 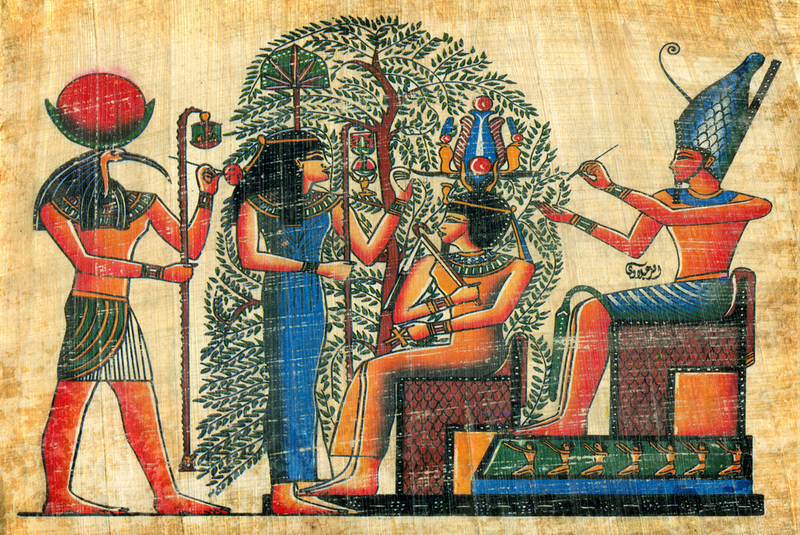 Egyptian linen was the most widely used material for those in royalty and positions of power, as well as civilians. Egyptian linen is completely different from the typical linen we see and think of today. The material was made exquisitely, and with much care in the crafting of the material. It felt like silk, and was extremely soft. The wealthiest people who wore the finest clothes always had pure white linen, as it showed a sign of their royalty or wealth. Most of the Egyptians of the ancient time period were hard working and poor, and wore garments which were dyed to mask the appearance of dirt and stains. To wear a garment of white signified the fact that the person wearing it merely relaxed all day and simply enjoyed life. Most of the expensive garments the Ancient Egyptian Queens and Kings wore were frayed at the edges for flair, and they also paired their clothing with head dresses and many jewels, necklaces, and gold. Many of the accessories worn by the rich and famous residents of Ancient Egypt contained depictions and artifacts such as scarab beetles, scorpions, falcons, and other important aspects of Egyptian culture. Aside from their elaborate clothing choices, high fashion in Ancient Egypt also entailed expensive wigs. Men and women alike wore these wigs along with head pieces or head dresses. Many of these head dresses contained gold and jewels. To correlate their expensive looks and tastes, the Ancient Egyptians also rid their bodies of hair – much like we do today. Although they wore wigs, and the women had long hair underneath, keeping hair from existing anywhere else on their bodies was important to both the women and men of Egypt. Aside from the clothing and personal hygiene preferences of Ancient Egypt, the makeup both the men and women would wear looked elaborate and glamorous. They lined their eyes in dark black patterns to shield them from the sun – somewhat like modern day sun glasses. They would also use a sort of ancient hair gel to keep their wigs in place and looking perfect all the time. For perfume, fragrance cones were used daily. They were placed on the person’s head and throughout the heat of the day, the cone would melt and run down the body of those who wore them, perfuming their skin with luxurious fragrance of various kinds. Hair was worn in elaborate styles even when wigs were used. The women of Ancient Egypt were known to have long hair and typically wore their hair down and straight, however; sometimes, they were known to wear it in braids as well as other beautiful styles. While we will never fully know the extent of the high fashion world in Ancient Egypt, we do know that even though the days of old occurred passed long ago, some of the same styles still live on today – which shows how much of an impact the Ancient Egyptian culture has had on the world. The Queens and Kings of Ancient Egypt paved the way for the fashion world of today – and we are forever thankful for it. When we think of fall, we think of the gorgeous leaves on the trees changing colors. We think about the fun holidays we get to indulge in, and the fun clothes we get to wear. Maybe you’re completely clueless as to what colors are fall appropriate. Have no fear; OROGOLD is here to provide an instructional guide as to what’s in, in terms of fall colors this year! When it comes to hair color, don’t be overwhelmed by the colors you should choose. As a general rule, the color you decide on should be something you will feel comfortable in, first of all. Second of all, the appropriate color scheme for fall would require you to trade in your summer hair for something a bit darker and warmer. Any shade of brown or red will do – or if you have highlights, eliminating them is another option, and going for a solid color would be a great alternative to completely changing the color up. Other earthy tones are fine as well. If you want more fall fashion ideas, there are a plethora of them around the internet for gaining ideas and mentally putting together outfits. This fall, the colors for fall makeup are stunning metallic hues and earthy tones. Metallics in any color scheme would look great, but the best colors you could choose from this year would be metallic bronze, metallic gold, and metallic silver. Many fashion and makeup websites are offering a look into what’s ‘in’ this season, and checking with reputable websites as a resource can help you gain proper application information. There are so many different ways to apply makeup that would look great for fall. Many of the fall colors can be versatile well into the rest of the year. There are lots of ways to repurpose clothes and give them a new look simply by adding accessories. The makeup you wear this fall can also be used for nights out at clubs and bars, and would never go out of style. Fall is a time for change, and ensuring you make the most of the great style options you have to look your very best is easy. With a little planning, you can get everything you need for fall without breaking the bank, but still look like you spent thousands. Confidence is number one, no matter what style or color you wear. If you wear your confidence on your sleeve, you can pull off any look you want to – guaranteed! 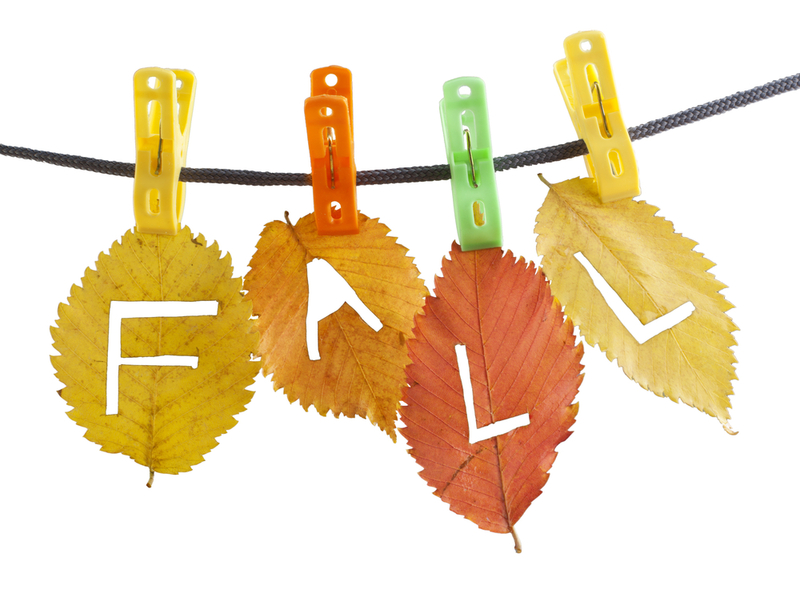 Have fun with the fashions and styles that this fall brings, and help and inspire others to do the same in the process. What are some of your favorite fall colors? Let us know in a comment below! Every now and then, keeping the same hairstyle tends to become monotonous and we like to change it up a bit. There are so many variations as to what hair style you could choose. From dying your hair, to adding strands of vibrant color, to highlights, to haircuts of various styles, there are so many different options to choose from. Deciding on what style is right for you is sometimes easy. Other times, it’s not as easy as we would have hoped it would be. There are many websites dedicated to providing you with a new look, or general ideas of new looks. There are also many books and magazines at salons, which are usually kept up to date with the current trends. Sometimes, asking your hair stylist what they think is right for you works. This is risky business, though, considering the style they might like may be something you completely despise. 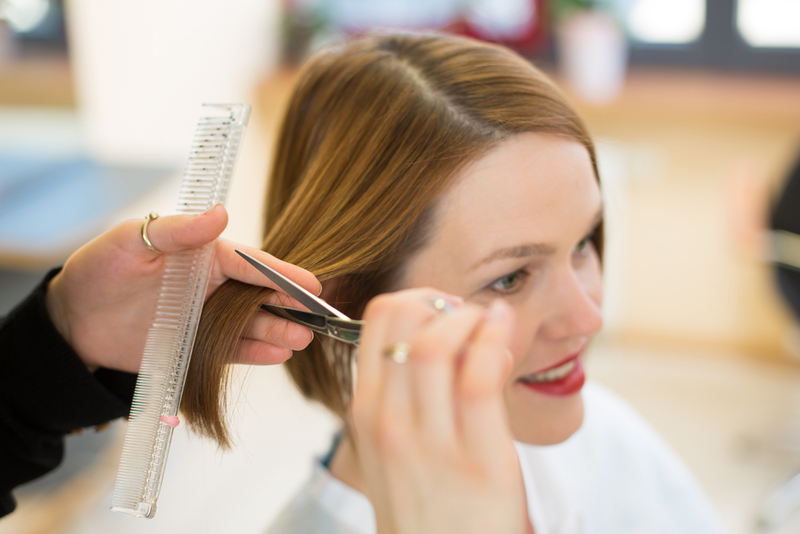 Aside from choosing a style you want, you can also attend hair shows, where you can volunteer as a hair model and have your hair cut, colored, and styled in a completely new and often times shocking look – something to think about for the more daring souls. OROGOLD helps you revamp your style with this helpful guide. Finding a color that’s right for you is usually done based upon your skin tone. Certain colors may not look good on those of lighter or darker skin tones, and sometimes can make you look washed out. Choosing something that meshes well with your eye color, taking your features into consideration (i.e. freckles) is usually helpful establishing the right color choice for you. When in doubt, get a professional opinion before making the big decision to make a color change – especially if it’s something completely different than what your natural color actually is. Sometimes, all it takes to give your hair a fresh new look is a new style or cut. Finding a cut that works for you should be based around the shape of your face, and your weight. These should be taken into consideration as well as what you actually want out of your hair style. If you choose a style that is difficult to maintain and you are always short on time, most likely you are going to hate the style because you can never make it look just right. Choose something that fits your lifestyle, and provides you with the level of design and difficulty suited to your time budget. Aside from getting some new bangs, perhaps adding a splash of color to them could also incorporate a new look. You could opt for a chunky highlight, or strands of a vibrant color such as blue or pink, to give your hair the ‘oomph’ you crave, all while not doing too much in terms of change. All in all, a new hair style is a sure fire way to give you a fresh new look, without breaking the bank and consuming too much time. 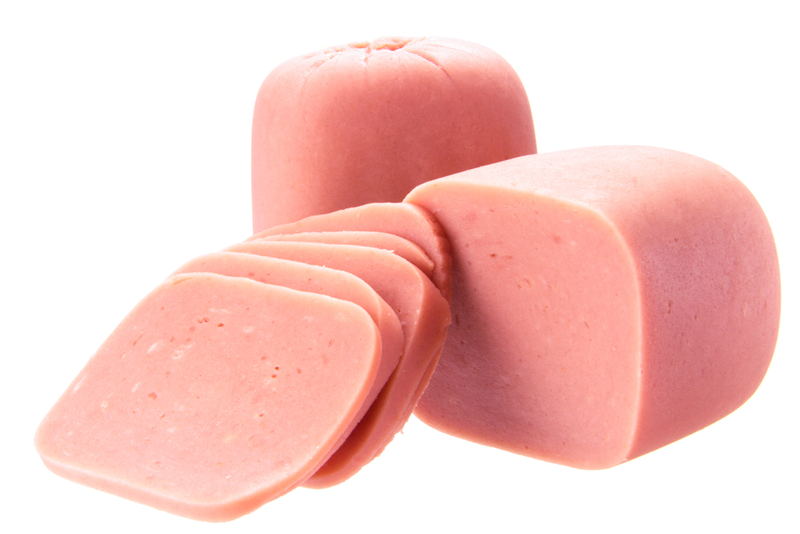 Processed food simply refers to any food item that has been altered from its natural state. Thus, even though it is contains natural ingredients, the organic baby spinach that you purchase from the markets and the frozen chickens are all examples of processed food. However, what this article mostly concerns itself with is a subsection of processed foods that are packaged using sodium, artificial ingredients and sugars. 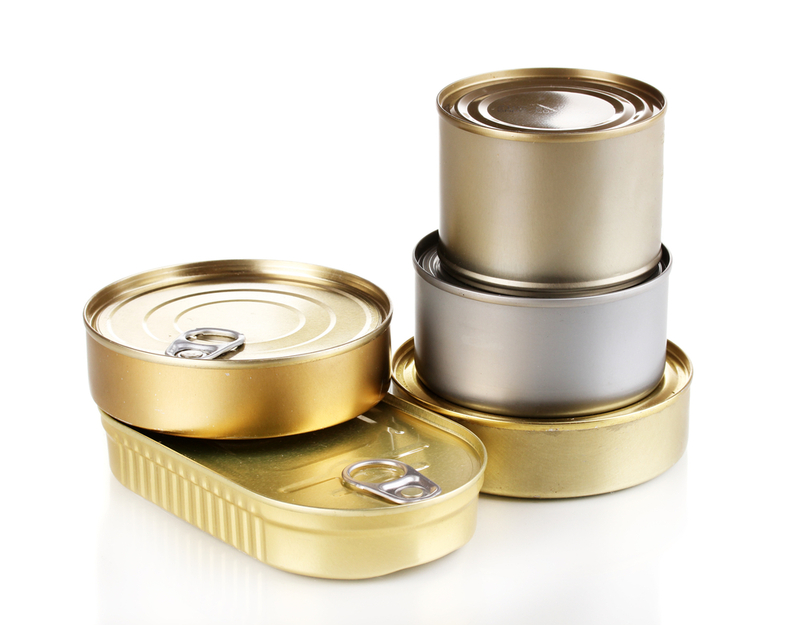 For example, a powdered cheese, canned soup or partially hydrogenated food items are likely to have sodium and other artificial ingredients in massive quantities. All such food items are quite harmful for your diet and they should be avoided. Although this seems to be easier said than done, here OROGOLD offers a few tips on how to quit processed foods. Search for brands that offer you with better and healthier ingredients. The ingredient list can differ from one brand to the other even when both are selling the same product. Ideally, you should be choosing the lesser of the two evils. This might not be the perfect start to your journey of quitting processed foods, but it’s still a start. You don’t need to become a master chef, but learning how to cook a few healthy and easy dishes can go a long way in ensuring that you stay away from processed food. Buy a decent cookbook, follow the instructions and practice whenever you’re free. You should be able to cook properly after a few tries. This helps you to quit the macaroni and cheese from the box and switch to something healthier instead. Keep track of the labels before you buy food items. Make it a habit to check out the ingredient list for every product that you buy. Learn about products that are particularly beneficial for the body as well as products that are harmful. Keep this in mind when selecting products and food items for your kitchen. There’s nothing called magic. It’s all an illusion. So, when you hear about magical food items that state “just add water! !”, run as far away as possible. The problem with such items is that they usually disintegrate while you consume it and reintegrate into a congealed blob after ingestion. Don’t base your decisions on those super duper commercials. Base them on facts and realities. Remember, the magical world only looks good in story books. Start changing your food habits slowly, but steadily. Processed food items have a lot of sugar and sodium. If you fall into the habit of eating such food, real food will no longer seem appealing to your taste buds. The best thing to do is to slowly change your habits and add fresh food, real food into your palette. Remember, the taste of real macaroni and cheese is miles apart from the taste of the packaged one. The health benefits are also known to be poles apart. Try to make your own macaroni and cheese. Eat it slowly and savor the combinations. The fresh noodles are likely to feel wonderful and the savory taste of the cream should invigorate your senses. But, you need to give them a chance. When confronted with home decor issues like designing a children’s bedroom you have to remember that unlike adult bedrooms they are used a lot more during the day and for lots of reasons. You need it to be able to cater for daytime activities as well making it a nice, comfortable place to sleep. Achieving the right balance can be tricky but not impossible. As children can quickly get fed up with or outgrow certain interests (dinosaurs, princesses etc.) it is best to stick with one plain color on the walls. This can then act as a background for a few themed items and means if a child outgrows an interest the walls are something you do not have to change. Although you may prefer neutrals children often like something a bit brighter; try to avoid colors that are too vivid though as this can be over-stimulating at bedtime. An affordable way to create a theme is with peel off borders and stick-on motifs. A child interested in ballet could have ballerina borders and stickers and then, if they decide ballet is no longer for them, they simply peel off of the wall. When children share a room it can be even harder to know how to decorate. Two adjacent walls painted one color and the other two painted in a contrasting color is the perfect way to help children feel they have their own space by creating their own little corner. Bedding to match their wall color can bring it all together. As mentioned, children’s bedrooms usually double as a playroom so when choosing the flooring it should be something comfortable to sit on and easy to clean. Carpet tiles, rubber or cushioned sheet vinyl all offer a great playing surface. If you prefer carpet, go for a synthetic short pile carpet as this will be a lot easier to maintain. Wood laminate is really easy to clean but can be noisy but a rug or two can help soften this. Many of us rely on the bedside lamp for our bedroom lighting but multi-purpose children’s bedrooms need to be well lit everywhere. This is especially true for older children as they will often use their bedroom for homework. Adjustable desk lamps or spotlights are a good idea for them. Younger children can benefit from bedside lighting that can be dimmed to help create a relaxing atmosphere. Make sure any lighting fixtures or fittings in a young child’s room are tamper proof or are completely out of reach; touch sensitive lights are a safe choice. From about 5 years old children will begin to have preferences for certain colors so getting them involved in the decorating decisions will help create a room everyone is happy with. It also makes them feel grown up and important when they feel included in decision making. Although you shouldn’t give in to their every whim do try and go for what they would like if possible as the most important thing is that they feel comfortable in their room. Plus, if your child’s idea of heaven is really not your taste the chances are they will soon outgrow it meaning you won’t have to put up with it too long! 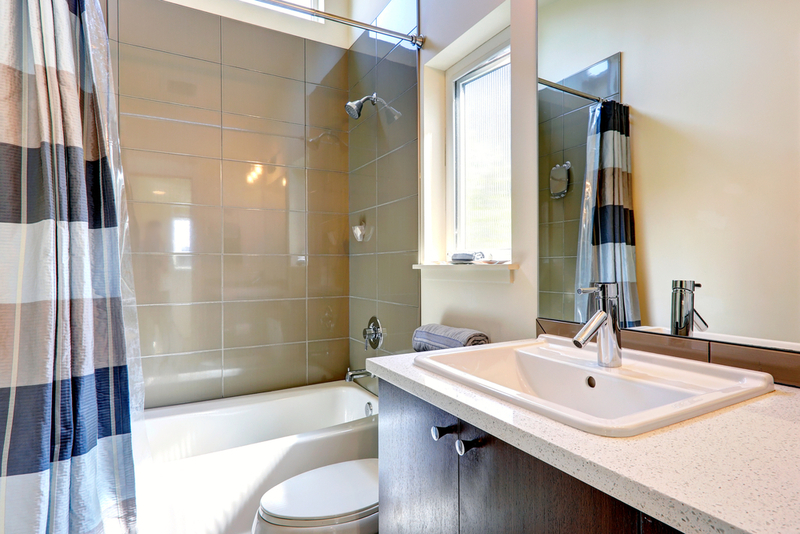 Home décor is such a subjective thing that it is not always easy to know if you are doing the right thing. 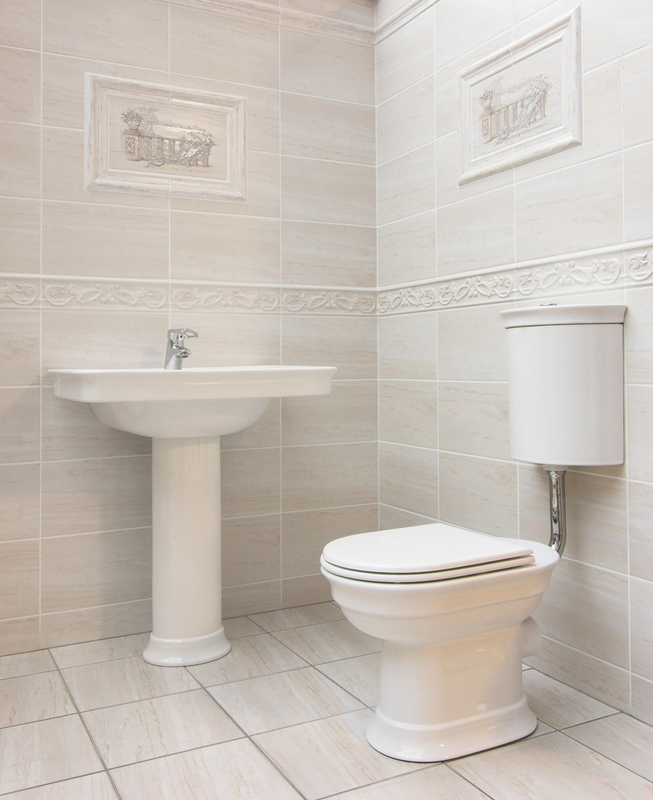 With do it yourself decorating we can all stumble and make mistakes on the way or simply not know where to begin. Here we take a look at some of the most common issues people face and offer some helpful solutions. The most common issue out there is color. Many of us struggle to find a happy medium; either plastering the walls with eye-popping bold hues or simply being too afraid to ditch the biege. The reason we get it wrong is the fact there are lots of factors to consider. First and foremost, what it the room used for? 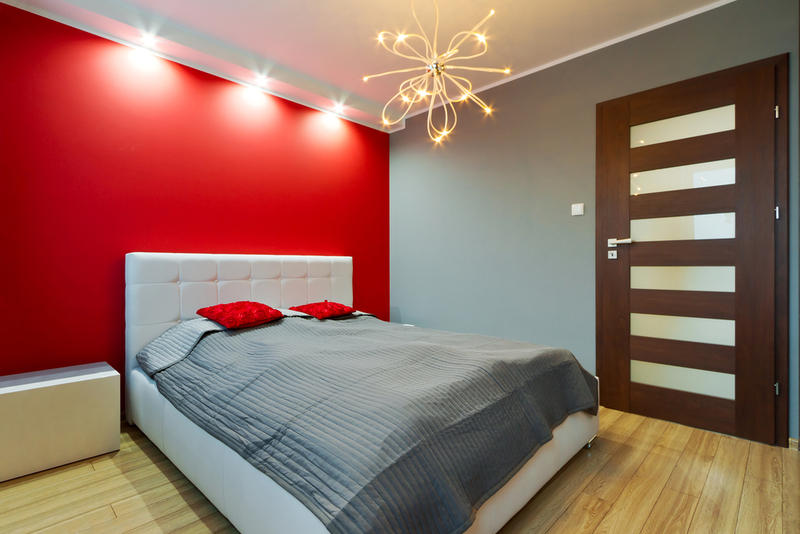 A bedroom painted bright orange will not create a relaxing atmosphere. Second, what size is the room and how much light does it get? Large, light rooms can take a bit of color but anything too dark in a small room will leave it feeling closed in. For anyone wanting to add some color to their life (and their walls) without going overboard can find a happy medium with the accent wall. Just one main wall painted in a bright, bold color can look really effective. When teamed with a complimentary neutral color on the other walls it gives you the best of both worlds. You can use accents in another way by having walls a more neutral color and the accent color introduced with furnishings such as curtains and cushions. Color is not the only common issue many of us face. Most of us have at least one room that is just too small. These small spaces can seem impossible to decorate nicely as they can often feel cramped whatever you do. There are ways to create the illusion of space. One light color throughout, maybe cream or white, with a mirror opposite the window to reflect light can make a big difference. Also, even though it’s hard in any room, keep it as clutter free as possible which will also help give the look of more space. Sometimes you look at that big plain wall and cannot help but be bored. You want something to grab your attention and become the focal point of that wall. 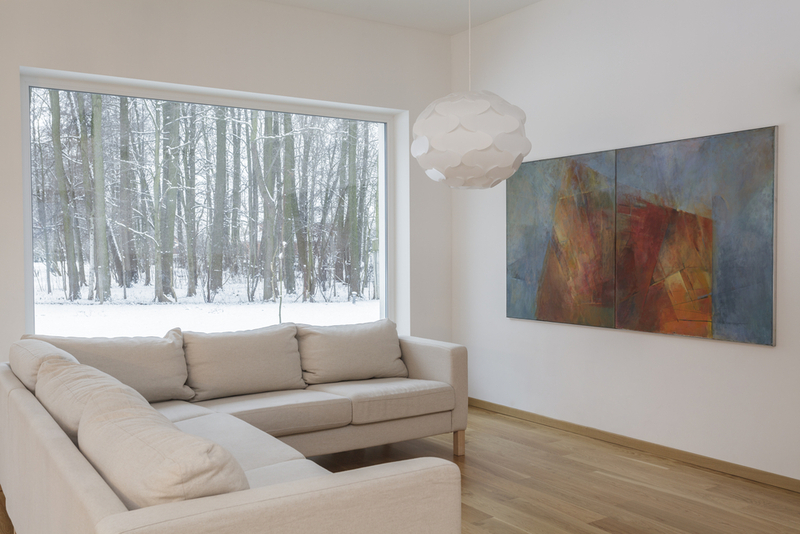 A big piece of wall art such as a large canvas or painting can look great but do keep a couple of things in mind. That large psychedelic print that caught your eye in the store is great but take your time. Is it the kind of thing likely to give you a headache looking at it day after day? For those who can’t make up their minds or like to change things regularly posters are a really good idea. You may well associate them with kids’ bedrooms and student dorms but you can now get a whole host of posters from fine art to film posters. In a large black frame they can look really classy without breaking the bank. New York Fashion Week is by far one of the most popular fashion weeks in the world and what could be a better place to learn about beauty tricks than one of the most popular fashion shows in the world? Those glamorous looking models all have their own ways of making their skin look so heavenly and flawless. The one thing that we learned about beauty from these models is that the idea is to look glamorous without looking too cosmetic. The idea is to go natural. But, how do you do that? Here are some of the tricks that OROGOLD learned from New York Fashion Week – from fashionistas to designers to models best beauty tips. False lashes might be really popular, but do you really need them? What if we told you that there is a way to make your natural lashes look just as good. Well, that’s what the models of the New York Fashion Week swear by. The secret is simple. All you need to do is add mascara on your real lashes and then add a few small sections of false lashes that look natural. Add another coat of volumizing mascara to complete that heavenly look. There’s another way to get that look for all those of you wanting to stay away from false lashes completely. All you need to do is hold a credit card or visiting card behind your lashes and brush your lashes with some mascara. The effects will be wondrous. Contrary to what many would have you believe, using too much foundation is never a good idea. Remember, the lesser foundations you use, the more natural you look. Lesser foundations also mean a less oily look. Remember to use a matte formula on most areas of your face and then top it up with a creamy formula on places that you want to highlight (places like your cheekbones). This should help you get the perfect look and make you look luminous. Winged eyeliner can give a great sense of character to your eyes and they are not too difficult to make either. All you need is a matte black cream formula and an eyeliner pen. The pen helps you to create outline and you can easily buildup the products on them. Use these pens to create the accurate tips and then line the rest of your eye with a cream liner. Many people end up piling on their powder and their foundation to hide areas where the skin becomes too shiny. However, this makes them look very plastic. The best solution is to use oil blotting sheets to remove the extra shine. This is much more effective than those foundations and powders. Use your fingers to get that perfect texture with a dewy product. In fact, many at NY Fashion Week were sporting their lipsticks on their cheeks to get the perfect finish. Finally, the most important thing that you need to understand is that there is no hard and fast rule when it comes to makeup. Anything that looks good for you is fine. Just as mix and match fashion has become a must in fashion, multi-tasking with your make-up is very important as well. Patting on some lipstick onto your cheeks or using your cheek color on your lips or even under your eyes, anything’s possible in the world of beauty. Remember, you are only limited by your own imagination. In honor of New York Fashion Week OROGOLD has done their research to bring you top beauty and fashion tips. Who better to give advise on these subjects than models? These models might have won the lottery when it comes to their figures, their beautiful looks and their genetics, but maintaining that runway worthy look and figure is anything but easy. Some of the best models were asked to spill their beauty secrets and this is what they have to reveal. Reading these tips should help you understand more about the world of beauty and prepare yourself for the season’s first party perfectly. Toni Garrn always uses a highlighter under her nose and her eyebrows. She says that she picked this habit up from Pat McGrath when she was just 14. She also says that she always curls her lashes. Arizona’s most important beauty tip is for women to mix their night repair serums with their foundation. This helps to transform the foundation into something amazing. To maintain fitness, Arizona advocates yoga as it helps the mind as well as the body. Jourdan has something different to offer. She says that all those looking to create the illusion of fake lashes should use a cardboard card or a credit card and place it behind their lashes. They should then use the mascara and brush against it. This helps you to look as if you’ve got a false lash and it looks really good as well. Carolyn believes in drinking a lot of water and moisturizing her skin to maintain her beauty. She also believes in light exercises such as walking, the occasional jogging and yoga. Carolyn is not for a woman’s body to look like a man’s. She says that a woman’s body should be on the softer side. Hilary always loves to watch make-up artists at work so that she can try and catch new things every now and then. Hilary loves to contour and highlight her cheekbones and her eye sockets with some bronzer. This helps her look more refined and it doesn’t take too much time either. Like Hilary, Joan is also known to be a major believer in moisturizing. She mixes some night repair cream with her face and neck SPF 15 lotion and uses it as a sunscreen. She thinks it really works wonders for her skin. To maintain her fitness, Joan mixes pilates with cardio and boxing and she believes in working at least 30 minutes each day. Who better to reveal beauty secrets for Victoria’s Secret models than their make-up artist. Carolina was asked about some of the tricks that these models use before an appearance in order to make their skin look flawless. She says that bronze is the best way to look flawless. Tanned skin helps to cover up the flaws and she does combo platters to accentuate the beauty of these models. Have any other tips or secrets that you would like to share with us? We would definitely love to hear from you. Please write to us using the comments box below.